Vivoom is a video app that's main attraction is its access to the same extensive library of lens filters used by most of the motion picture industry. When I became part of the project, the app was mired down in an inappropriate and confusing UI based on on a popular photography app. Through the use of extensive user testing, iterative task flows and wireframes I was able to take Vivoom to the next step by simplifying the process and creating a richer and more appropriate user experience. 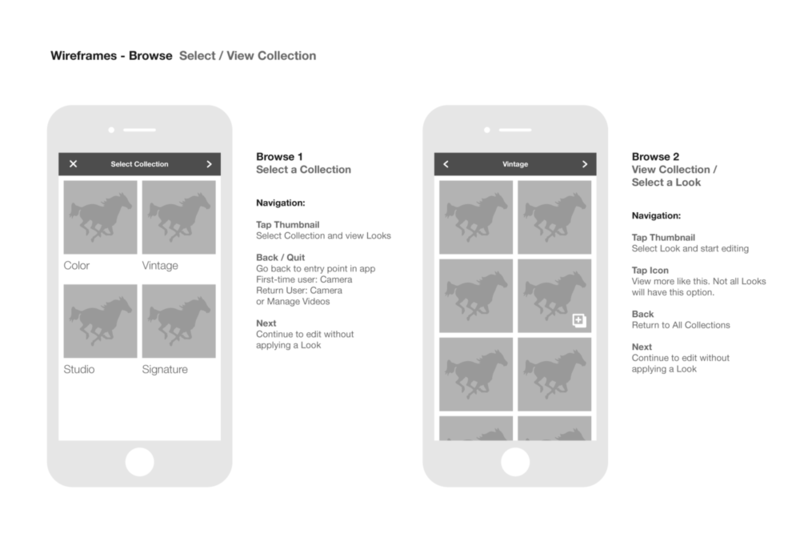 After putting the new UI in place I created design templates accompanied by an icon library. Above: Creating a consistent icon libray was key in the final stages of the project. 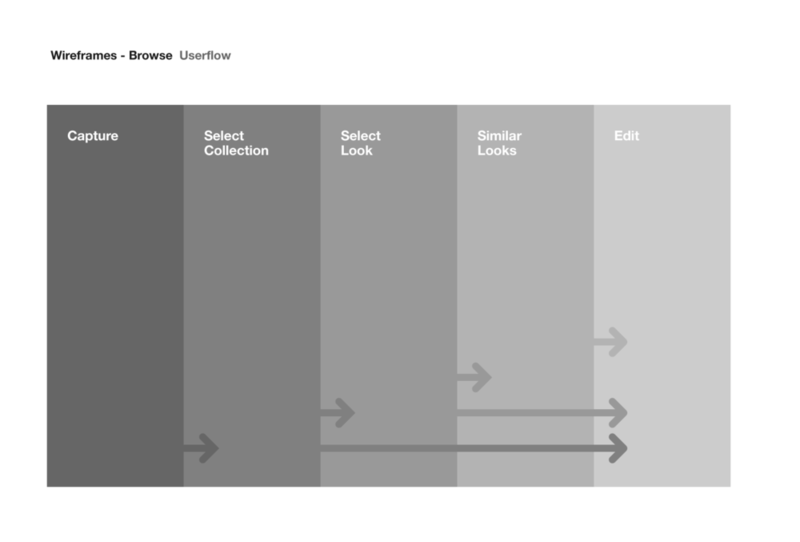 Below: Task flows were created for specific sections of the app along with detailed wireframes.